Root canals are a very effective, common procedure that can helpyou keep your tooth by removing the nerve and dead or dying pulp. Although it may be time consuming - it is more than worth it when it saves your tooth from being extract. Surprisingly, root canals have been around for many generations. Many years ago, ancient civilizations used this method to save teeth that would have been lost otherwise. 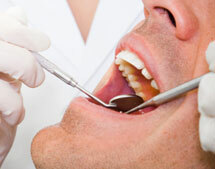 These civilizations offered root canals to those such as queens, kings, pharaohs, and the rich. The teeth from peasants were normally extracted then sold to aristocrats.